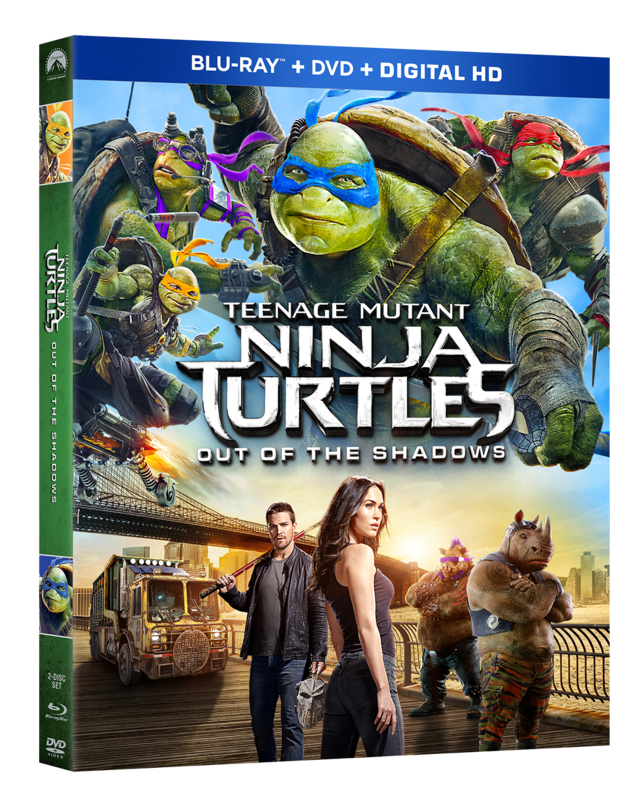 Today, September 6th, marks the release of Teenage Mutant Ninja Turtles: Out of the Shadows on Digital HD. Grab the kiddos and make it a movie night. Buy it on digital from Amazon here for $19.99 HD or $14.99 SD. On September 20th, it will be released on Blu-ray ™ Combo Pack and DVD with Two Reversible Turtle Masks in All Four Colors! The Action-Packed Film Will Also be Available in 4K Ultra HD Blu-ray Combo Pack and Blu-ray 3D ™ Combo Pack. Limited Edition Collectible Turtle Van Lunchbox will be available with a two-movie Blu-Ray gift set. You can pre-order these now! Your favorite pizza-loving heroes return in an "epic" new adventure loaded with wall-to-wall adventure and laughter. Raphael, Leonardo, Donatello, and Michelangelo are back to battle bigger, badder villains, alongside April O’Neil and a newcomer: the hockey-masked vigilante Casey Jones. After supervillain Shredder escapes custody, he joins forces with two dimwitted henchmen, Bebop and Rocksteady, to unleash a diabolical plan to take over the world. As the Turtles prepare to take on Shredder and his new crew, they find themselves facing an even greater threat with similar intentions: the notorious Krang. 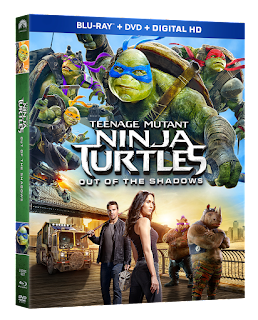 Teenage Mutant Ninja Turtles: Out of the Shadows stars Megan Fox, Will Arnett, Laura Linney, Stephen Amell, and Tyler Perry in the live action film that is fun for the whole family.